Every two years, the WORLD AYURVEDA CONGRESS in India takes place, organized by a different Indian state each time. The host of the Congress in 2012 was the city of Bhopal in the state of Madhya Pradesh from December 5 to 10. For ten years now, the WORLD AYURVEDA CONGRESS has attracted experts from all over the world and it has become the largest international platform for the scientific exchange of experiences in the field of Ayurveda. The Congress reflects the immense growth of Ayurveda in India as well as many other countries of the world. From approximately 1,000 applicants for a speech, the scientific advisory board only chooses a small number. 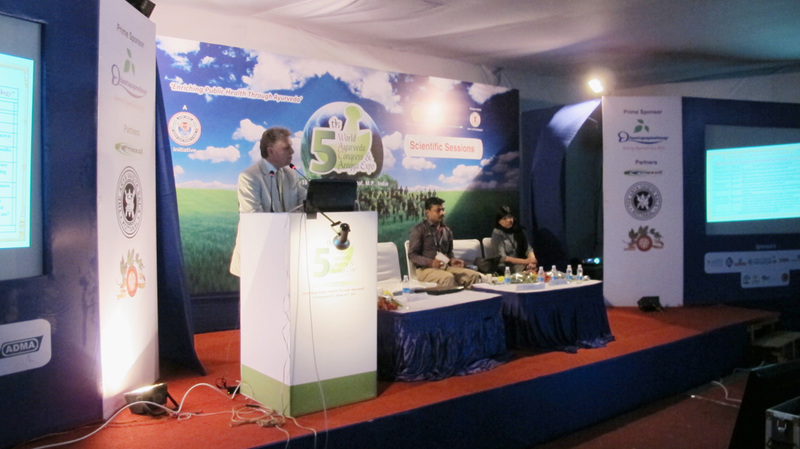 In his speech, Lothar Pirc emphasized the scientific claim of Yoga and Ayurveda. He further explained the importance of correct meditation practice for the development of higher states of consciousness and referred to the established scientific research. Enlightenment as an integrated condition of human life, he explained, should no longer be a philosophical ideal, but a practical reality of life for as many people as possible. The Vedic literature, specifically Yoga and Ayurveda, offers a very real possibility to actualize that goal.